The 2019 RS:X Europeans and Youth European Championships being held on the island of Mallorca, Spain, has a record turn out for the RS:X Class with 333 confirmed entries from 43 different nations representing six different continents over five days of racing. 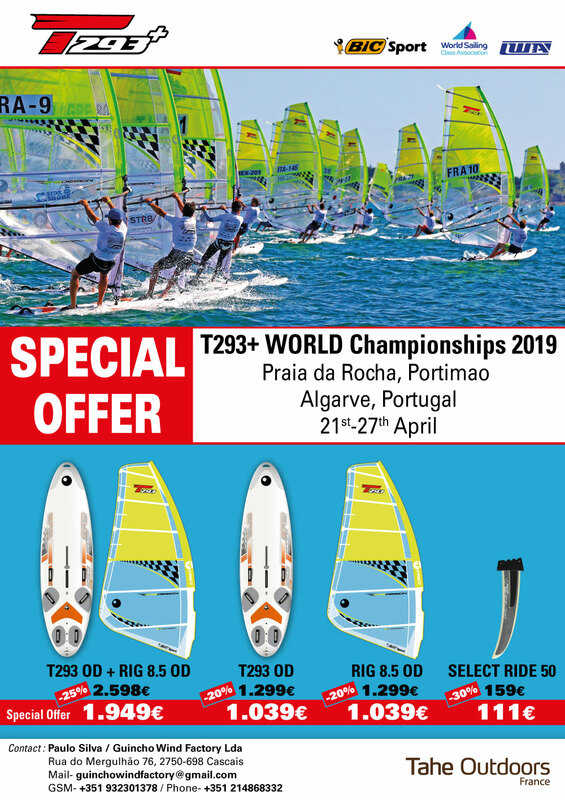 These Europeans are testament to the health of windsurfing at present such that, for the first time ever, the youth men's fleet is bigger than the senior men's fleet which is with special thanks to the BIC Techno class who provide an excellent pathway into the RS:X Class. The biggest, and most welcome problem the organisers have this week is finding enough beach space! 2019 is a critical year for the senior fleet as this event forms the selection event for many of the nations competing here - looking to determine who will be sent to the all important Olympic Test event later this year in Enoshima. The Europeans for many is a must perform event, where performance means different things to different sailors where complex little battles fought up and down the rankings. For Dutchman Dorian van Rijsselberge, the reigning Olympic and World Champion, the pressure is still on as countryman and protege Kiran Badloe has been pushing him hard in this Olympic cycle. Badloe will be looking to upset the status quo and having got so close at the 2018 World Championships, could this be the event where he finally overtakes van Rijsselberge? Charline Picon of France is also looking to start 2019 strongly with a good performance at these championships. The reigning Olympic Champion took some time off post Rio to have a baby and with a strong second place at last years World Championships, she will be looking to go one better and claim the top spot on the podium this week. Picon will have a fight on her hands as many sailors see this as a must win event so the medal race is likely to be the top ten in the world battling it out. Other notable sailors to keep an eye on this week are Giorgia Speciale from Italy who is making her debut senior appearance at a major event. Speciale finished 2018 with every title in her hands including the World Sailing Youth Worlds, Youth Olympic Games, RS:X Worlds and RS:X Europeans. As one of the youngest in the senior fleet, it will be interesting to watch how she grows in the senior fleet. The French are at this event in force with 55 sailors entered across the senior and youth fleets. As well as Picon, there are a number of previous World and European Champions within their team - and with only one spot available for the 2019 Olympic Test Event, competition will be as fierce within the French team as it will be amongst the fleet. The Israeli, British and Spanish teams are all boasting 30 plus athletes within their teams. Hopefully not as an omen for the week, the sailors that went out for the practice race were greeted with a much lighter wind than was forecast. A gentle 6-7 knot breeze from the south west meant that many sailors came in early, only to hit the beach as the breeze built into the later afternoon, rising to up to 20 knots. With warm days due, the building sea breeze will play a big part in the results over the week as differing breezes are served up for the first few races over the last few races of the day. The light wind specialists will enjoy the mornings and the strong wind specialists will enjoy the afternoons. Racing on Tuesday and Wednesday will be qualifying races for all fleets except the youth women who will be racing together all week. As racing moves to Thursday and Friday the remaining fleets will be split into Gold and Silver fleets where the top ten of the Gold fleet will move to Saturdays all important Medal Races - where European Champions will be crowned.